Notice: Self-serve standard products available on the Statistics Canada website ― including CANSIM and census data products ― are now free of charge. It is very exciting to have such a data warehouse available. Unfortunately, it still requires knowledge to understand the data. 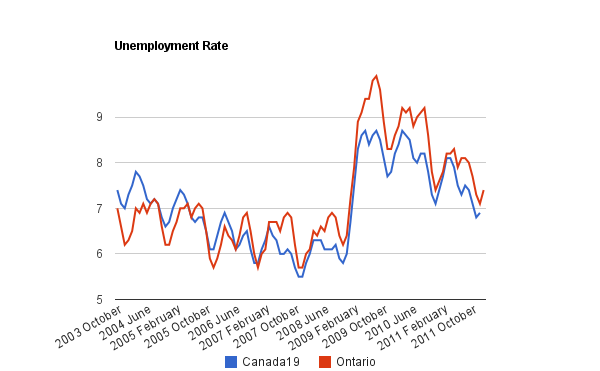 For instance how is one to interpret the Unemployment Rate data since Ontario's Premier McGuinty was first elected?